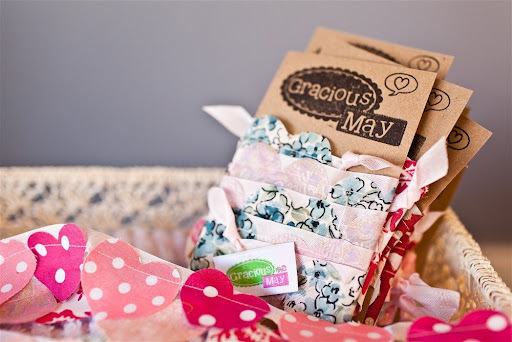 Just before we chat about clothes…have you entered my Gracious May Giveaway? Yes, these really are what they look like. These sparkly wonders would normally be out of my realm of possibility but a friend found them online and then they didn’t fit her. Bad for her-good for me. And then came a sale of Tom’s. I know, they fall into the oddly appealing category but they’ve been on my list for awhile and spring truly is here now. 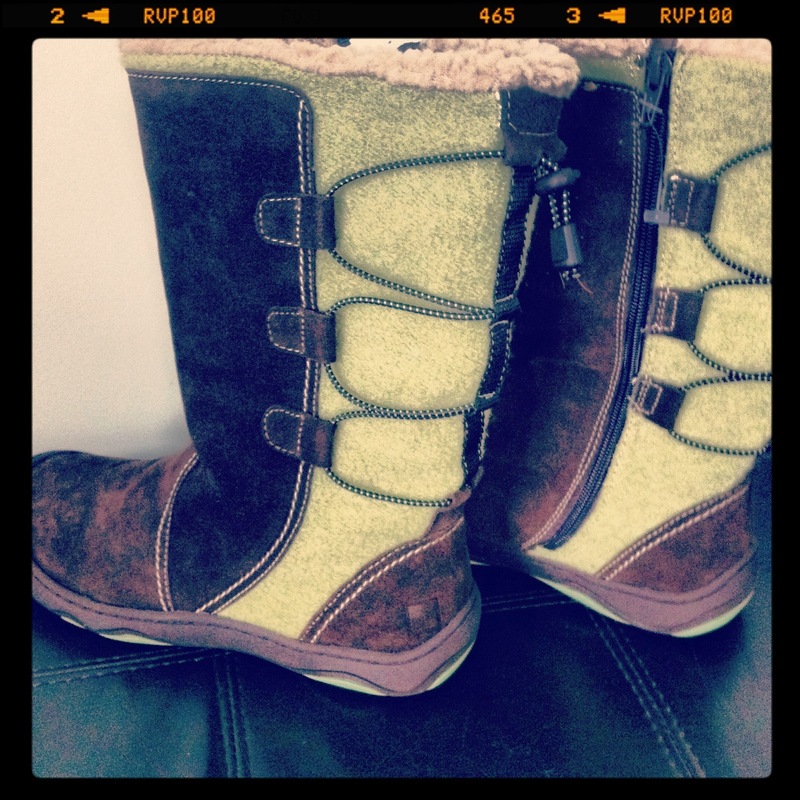 Finally, these amazing Woolwich boots that I’ve wanted FOREVER but balked at the 300.00 price tag. However, 80% off made them an impulse purchase that I woun’t regret. Casual is the word for the day. I’ve got Gap boyfriend khaki’s on, a navy tank that has an oddly cut bottom and an Old Navy jacket from over 10 years ago. 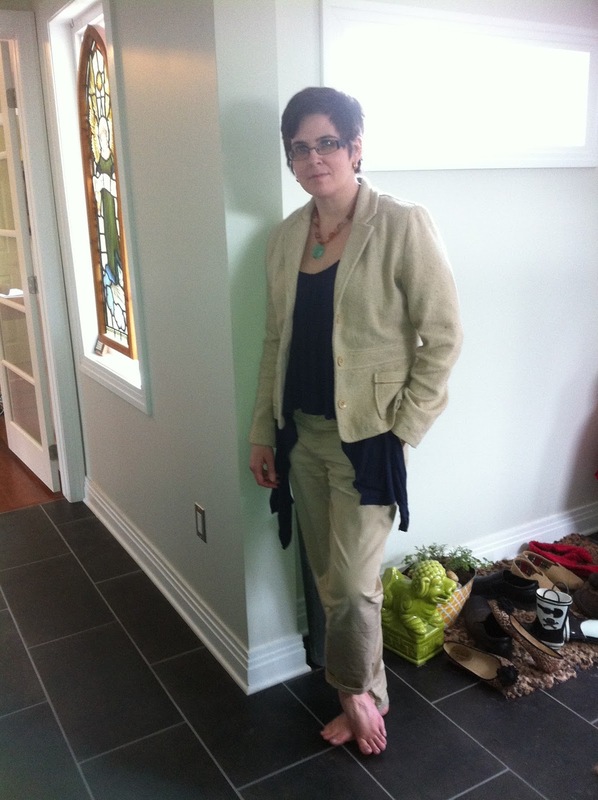 This outfit will survive walks outside, a craft and a trip to the library for story time. Need to also fit in a haircut. I popped over from The Pleated Poppy to take a peek. Loved your photos and your shoes!!! 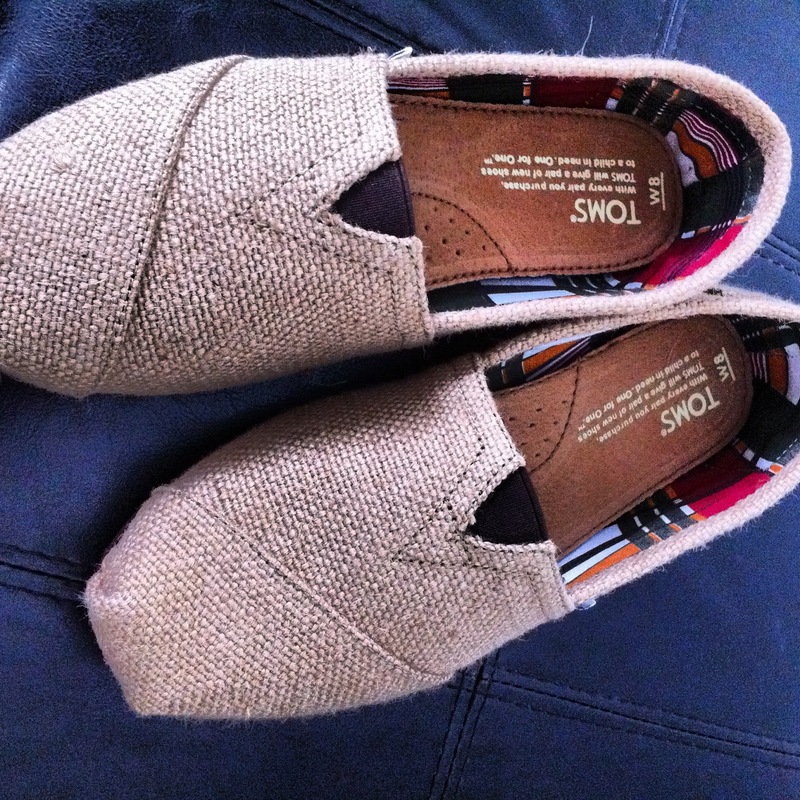 My daughter is dying for a pair of Toms, will have to keep my eyes open for a sale! Sparkly strappy shoes AND super awesome warm boots??? My kinda girl!